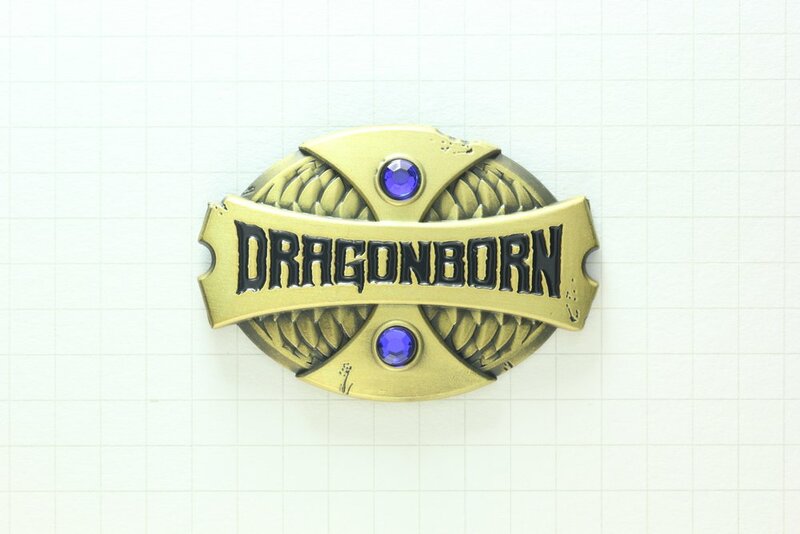 Represent the proud Dragonborn race with this battle worn enamel pin. Features 3d sculpted details, red or blue crystals and antique bronze finish. Double posted with soft enamel.